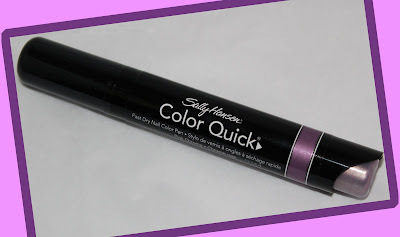 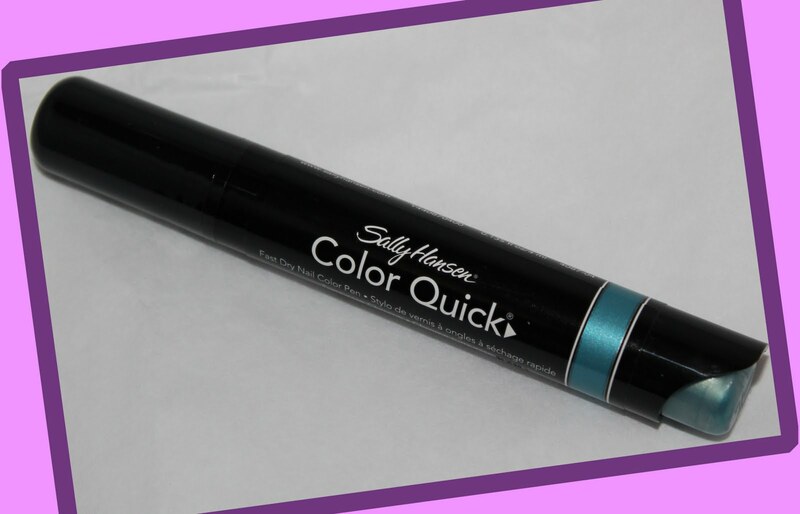 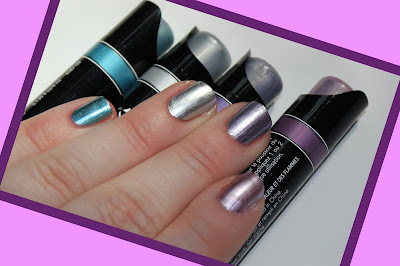 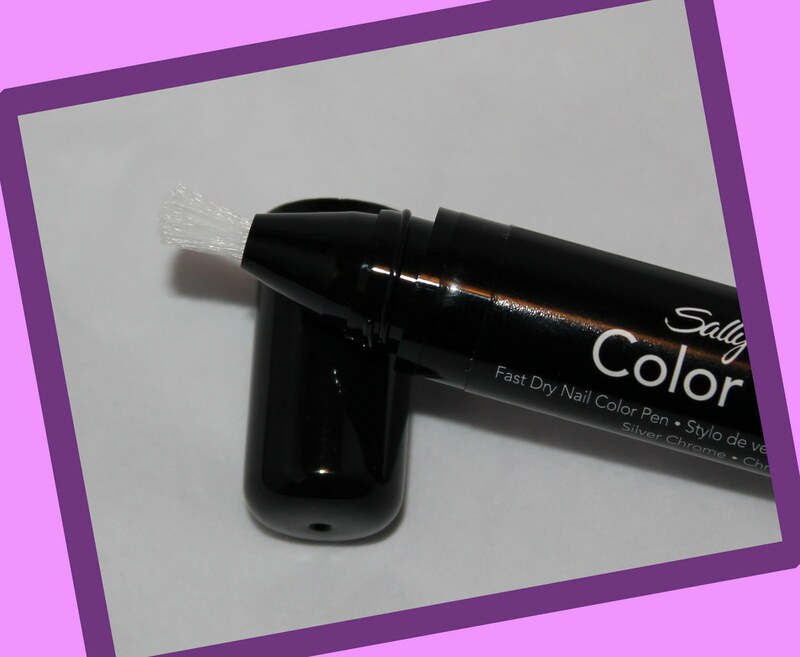 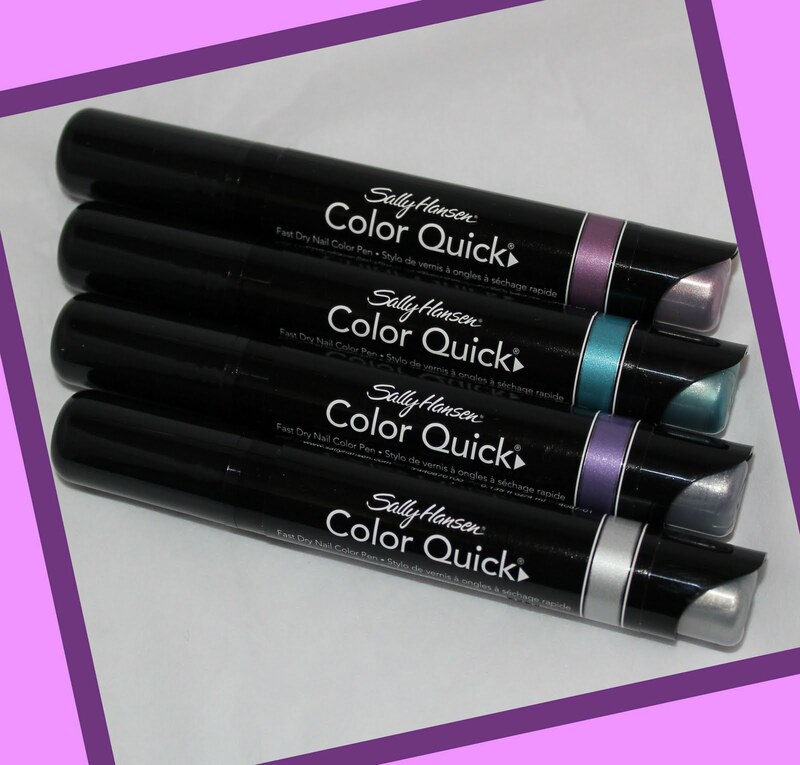 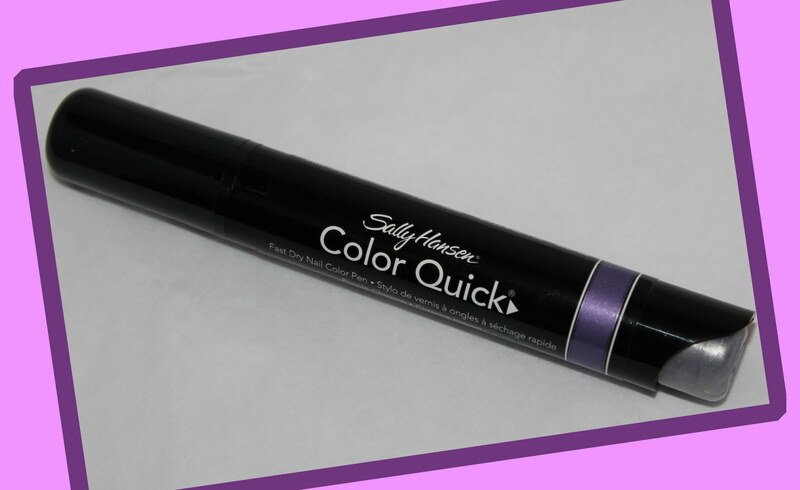 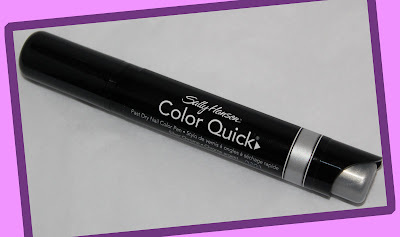 Because sometimes you just need color on the quick, Sally Hansen has happily obliged gals on the go with a line of quick-trick polish pens in a myriad of fun metallic shades. The new chrome line is now Krasey tested, and Krasey approved for a unique, high shine, fast fix..
For those of you who aren’t familiar, Color Quick is a full line of nail polish pens that are a one-handed way to click and color your digits. 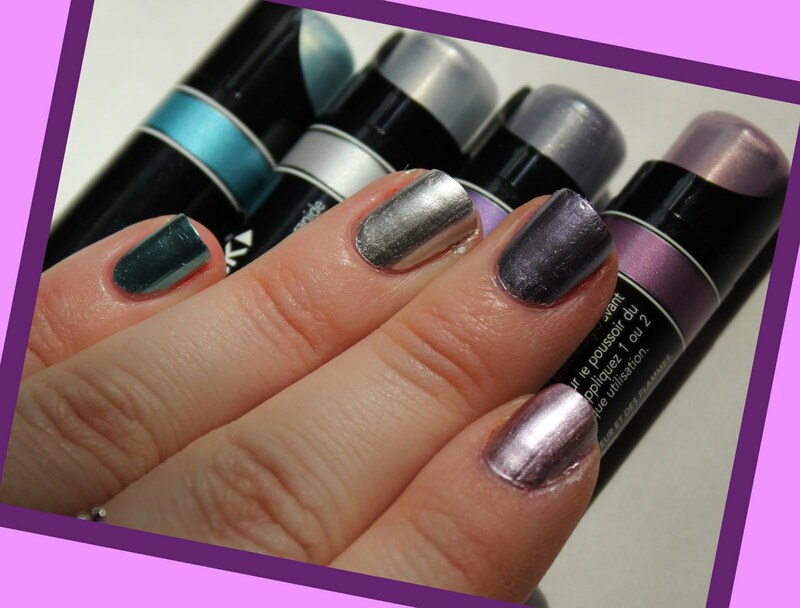 The new chromes are especially fantastic if you are a lover of unusual shades in a metal finish, and quick fixes. Simply click the pen and the color automatically flows through to the brush. 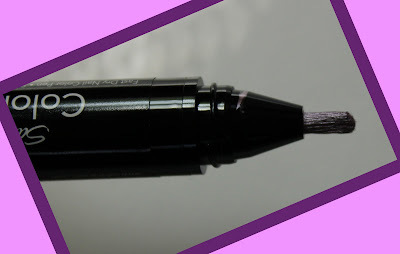 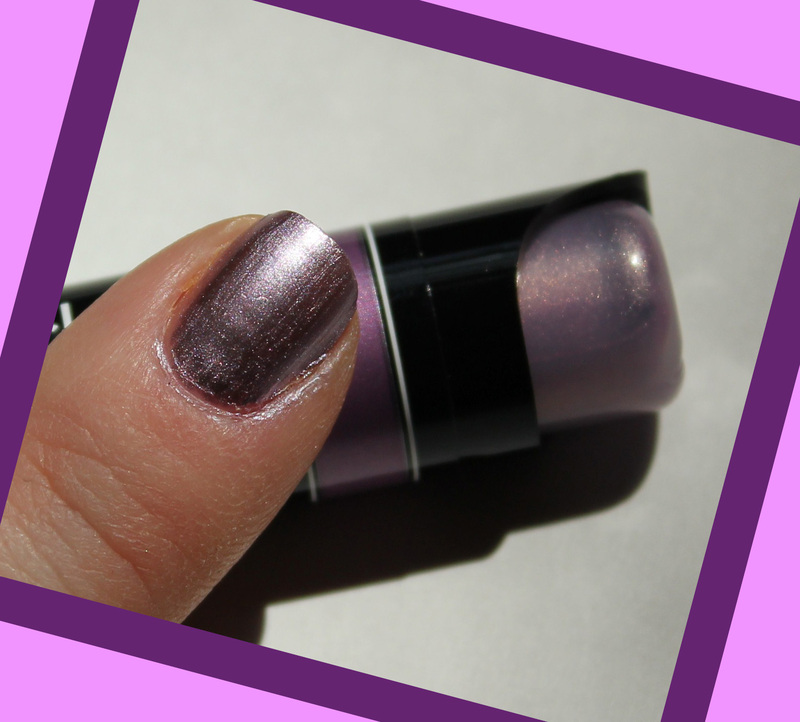 I love the color, I love the quick dry time, and I love the high-shine metallic finish. If I had to pick one thing I don’t love however, that would be how short lived the shiny goodness is. 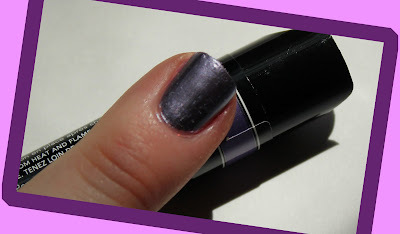 I found that after a day my polish was worn and scratched in places. 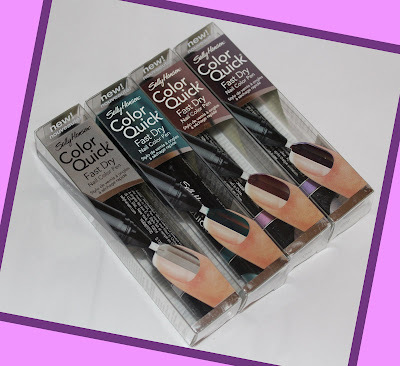 Nevertheless, I will continue to turn to it when I need pretty nails fast. 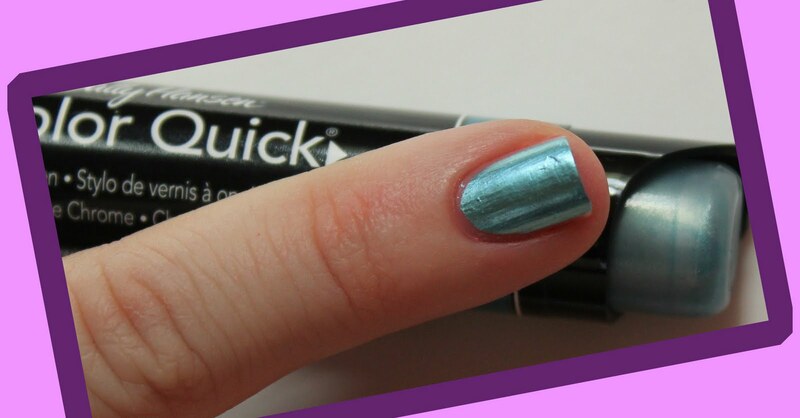 The good outweighs the bad. 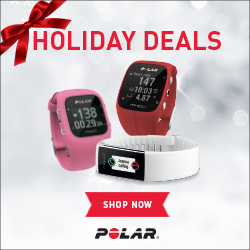 You can find the lineup at your local drugstore.